You want to give your new puppy or kitten the healthiest possible start in life -- but how? 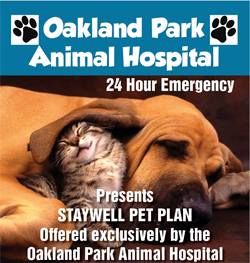 Here are the answers to some frequently asked questions about puppy and kitten care from Oakland Park Animal Hospital. Why should puppies and kittens receive vaccinations? Puppies and kittens haven't yet developed their own immunity against certain common (and deadly) infectious diseases. Vaccinations spur their immune systems to start manufacturing the appropriate antibodies to fight the invading germs. Which vaccinations does my puppy or kitten need? We commonly administer a group of core vaccinations to puppies and kittens. These vaccinations protect dogs against rabies, canine distemper, hepatitis and parvovirus. Cats receive protection against rabies, calicivirus, FHV-1 and feline distemper (also known as panleukopenia). Why does my puppy or kitten need multiple rounds of vaccinations? Vaccinations need to be reinforced when the patient is still new to them. Administering multiple rounds of vaccinations at specific intervals is what brings your pet's immunity up to full strength. Why is de-worming so important for puppies and kittens? Your baby animal is most susceptible to the harmful effects of roundworms, hookworms and other internal parasites during the first year of life. We recommend multiple rounds of de-worming during the first year of your little friend's life. Why are fleas especially dangerous to baby animals? An individual flea might take only a tiny amount of blood, but a full-scale infestation can cause significant blood loss. This is particularly dangerous for very small or baby animals, including puppies and kittens, which can develop life-threatening anemia. How can I protect my puppy or kitten against pest infestations? For the 4 weeks of your kitten's life or the first 4 weeks of your puppy's life, grooming is the only safe protection against fleas and ticks. For older puppies and kittens, your veterinarian can prescribe an ongoing program of oral, topical or collar-based preventative products to keep those unwanted pests away. Why should I spay or neuter my puppy or kitten? It's best to spay or neuter pets before they reach sexual maturity -- and our Oakland Park veterinarian can perform these procedures on puppies and kittens aged 8 weeks or older. Spaying and neutering protects your pet against hormonally-charged dangerous behaviors as well as reproductive cancers. What (and how) should I feed my puppy or kitten? Puppies and kittens typically require several meals a day to enable their bodies to grow rapidly. (At the six-month mark this routine slows to two meals a day.) Puppies need to get 25 to 30 percent of their calories from protein, while kittens require about one-third of their diet to be protein. The best first step for ensuring your puppy or kitten's health is to schedule an initial wellness evaluation and any necessary preventative procedures. 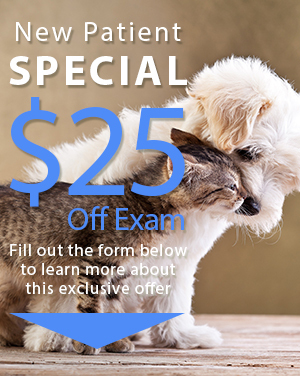 Call our vet clinic at 954-644-7281 today!